Originally from England, Gothard’s tennis career in the U.S. began in 1969 when she started teaching at the South Side Racquet Club in Dolton. She later managed the Park Forest Racquet Club, and from 1976-1991 she served as Tennis Director at Ravisloe Country Club. Since the late 1970s Gothard has been running tennis programs, creating tennis events, organizing fundraisers, and hosting local, section and national tennis tournaments at the H-F Racquet & Fitness Club in Homewood, Ill. 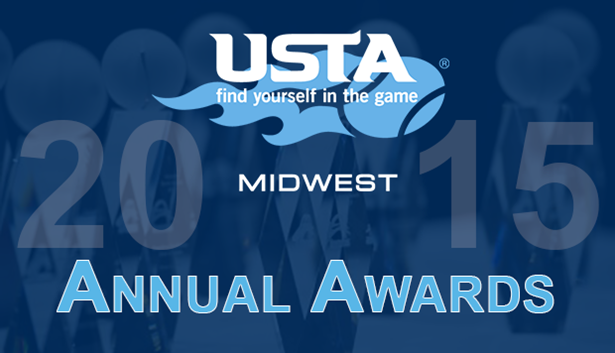 Under her leadership, the facility has won numerous awards, including the USTA/Midwest Section Organization of the Year (2001), USTA National Organization of the Year (1988, 2001), USTA/NRPA Excellence in Tennis Programming Award (2003), and the USTA Chicago District’s Facility of the Year (2000, 2008, 2011). In addition to leading tennis programs and events, Gothard volunteers for the USTA and other tennis organizations. She has served as a board member and past president of the USTA Chicago District Tennis Association, as Chair of the USTA/Midwest Section Communications Committee, as Chair and member of the USTA/Midwest Section Information Technology Committee, and as a member of the USTA/Midwest Section Tennis Industry Committee. Gothard is the creator of the Homewood-Flossmoor Park District Tennisfest, a 10-day festival that started in 1988 with a 41-event tournament and free clinics. Over the years Tennisfest has expanded to a 12-day, 55-event tournament with free clinics, lessons, exhibits, book sales, food and more which draws nearly 2,500 participants. Gothard’s service and dedication has earned her numerous awards from the Chicago community. She was presented the Senator Aldo DeAngelis Leadership Award from the Chicago Southland Visitor’s Bureau, and a Certificate of Recognition from the state of Illinois for her 35 years of service with the Homewood-Flossmoor Park District and Racquet Club in 2012. Gothard also has been honored by the tennis community through the years earning several USTA and USPTA service awards. She was inducted into the USPTA Hall of Fame – Midwest Division in 1996, the Chicago District Tennis Hall of Fame in 2013, and is a recipient of the Billie Jean King Lifetime Achievement Award. The Kent and Sue Harris Family from Indianapolis, Indiana, has been involved in the USTA Central Indiana District and the Hamilton County Community Tennis Association (HCCTA) for many years. Sue was a charter member of the HCCTA Board of Directors, serving on the board for 20 years. During that time she served as Treasurer, High School Tennis Scholarship Chair, and Co-Chair of the association’s Appreciation Luncheon. As a representative of the HCCTA, she was a contributing author to a book about Arthur Ashe as part of the HCCTA Community Reads program. An active supporter of the Central Indiana District, Sue served as District League Coordinator from 2005-2015, responsible for coordinating USTA Adult League programming. From 2012-2013, she served on the District’s Diversity Committee and helped teach tennis to youth at the Shepherd Community Center in Indianapolis. Sue’s husband, Kent Harris, has supported Sue in her work for the HCCTA and with the Central Indiana District. As Assistant Superintendent of Sheridan Community Schools in the late 1980s and early 1990s, Kent helped garner support for the CTA from schools throughout Hamilton County. He also volunteered at league championship events. Sue’s daughter, son-in-law, and granddaughter are also active tennis players and volunteer in the community. Susan Winter, her daughter, played on the Zionsville High School tennis team. Susan also volunteered for the HCCTA, helping organize and teach tennis in after-school programs at several Zionsville elementary schools. She continues to be active in tennis, playing in both Women’s and Mixed Doubles USTA Adult Leagues and World Team Tennis. She also serves on the USTA/Midwest Section’s Adaptive Tennis Committee. Susan’s husband David began playing tennis in 2007 and now plays in both the Men’s and Mixed Doubles Adult Leagues and World Team Tennis. He continues to volunteer at local tennis events and from 2010-2013 was a member of the Central Indiana District’s Board of Directors. Susan and David’s daughter, Emily, also plays tennis. After playing for both Zionsville Middle School and Zionsville High School, she also volunteered for the HCCTA. Rice has been an active volunteer for the USTA for many years, serving at the local, regional and national levels. Rice was President of the Central Indiana District (CITA) from 2000-2002, and currently is Co-Chair of the USTA/Midwest Section Grievance Committee. He also serves on the national USTA Constitution & Rules Committee. Rice has been active in the sport of tennis since the age of four, when he first began playing. As a young child, Rice was said to follow his father and older brother around the tennis court. He started taking lessons, around the age of eight, at Tarkington Park and soon began playing in junior tournaments. Rice was an accomplished junior player during the 1960s winning several titles in different age divisions. He joined the Shortridge High School varsity tennis team as a freshman, playing with his older brother. He then played No. 1 singles the remainder of his high school career, and was selected for the Indiana Junior Davis Cup Team in 1967-68. His successful high school career led him to Beloit College, Beloit, Wis., where he played No. 1 singles for four years while also playing on the school’s varsity soccer team. In 1971 Rice received a wild card into the main draw of the U.S. Clay Court Championships with doubles partner J. Frank Hanley. Rice returned to Indianapolis in 1977 to practice law, and has continued to play tennis and volunteer his time to help grow and support the game.